Then came the creak of the wheels singing like the soprano section of St. Luke’s Oratory filling in the gaps while the driver bellowed out an old spiritual in a smooth baritone. Next thing she knew the old tinker’s cart turned the corner and ambled its way into life passing the parked cars and SUVs like a turtle passes a sleeping rabbit. The cart had once been painted in bright hues, but the paint had faded and cracked decades ago. 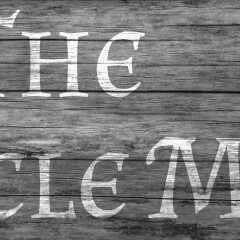 On the side you could still make out the stylized letters of a by-gone era: “The Miracle Man”. The driver had withered and cracked with the paint. He wore a sparse straw hat on his head and threadbare, denim overalls on top of a red shirt. “Ok…” the girl said, keeping a leery eye on the young man as she went into the house. When Mr. Carlson came out to see who was asking about Mr. Highbrook, the young man, the horse, the cart, and the driver were nowhere to be found. “Virgil’s bowl was empty so I went to the kitchen to refill it. Then that maniac drove Virgil’s antique truck right through the wall! I hate to think what could have happened if I hadn’t seen his bowl was empty. I could have been hurt, maimed, or put in a coma! The therapist offered Janice a cheese ball from a large bowl on the coffee table. Janice smiled, took the bowl onto her lap, began idly munching, and moved on to the next subject. And that was the way with Janice, she’d avoid standing near exterior walls, but a few cheese balls and she was right as rain. Cindy on the other hand, could not solve her problems with a few cheese balls. Unfortunately, though, she also couldn’t solve them by backing a truck through the wall of a house either, though it did improve her mood. Cindy had been in a terrible car accident (before the one involving the house). The other driver had been late for a meeting, and believed normal driving laws should be suspended until such time as he was no longer late. Unfortunately, no one else got this memorandum, least of all Cindy. She had been attempting part three of a ten-point plan, recommended by a therapist on TV, to salvage her marriage. She had gotten off work early to surprise her husband with a night out at his favorite restaurant. As Cindy turned left, the other driver disregarded the red light and smashed his Mercedes into the side of her two-week-old Nissan, totaling both cars in the process. The man walked away without a scratch. Cindy, however, had a helicopter ride to the hospital where they ushered her into the ICU. The doctors there pronounced her condition “touch and go.” She stayed “touch and go” for a few days until she settled into a coma. Her husband, Virgil, mourned her for three weeks before finally asking the doctors to pull the plug. An old doctor resembling the cart driver and wearing a red shirt under his threadbare lab coat showed up to turn the respirator off. As the respirator stopped working, though, Cindy miraculously returned from her silent sojourn. Virgil had mixed emotions about this miracle, however, as he had begun shacking up with Janice, his boss’s secretary. Sympathy and comfort had instigated the relationship, but the lonely man quickly turned things in another direction. Janice, for her part, equally quickly progressed from a shoulder to cry on to live-in-girlfriend; all while Cindy breathed through a machine. Cindy’s full recovery, though miraculous, stretched on for eight long months. It would have been half that long if Virgil had not come in with papers for Cindy to sign two weeks into it. Virgil had found a loophole in his state’s insurance law that removed liability for her medical bills if their marriage had been dissolved by the day of discharge. He pushed her to sign the paperwork, and she, a recovering bundle of nerves and tears, signed away her marriage and any chance for financial security. With just one sister, a plane ride away—who was far too busy to visit more than once in eight months—she was on her own. A few weeks later she happened to run into Janice at the supermarket with a shopping cart. Cindy had been looking at the canned meat display and had not seen anyone in front of her, until Janice shrieked with pain. No amount of apologizing or explanations would solve the issue. Janice walked with a limp the rest of the day and two weeks later when she visited the doctor. This comment barely made sense as an insult, but for Cindy it was the straw that broke the front wall. She jumped into Virgil’s favorite truck, an antique Ford that he kept in the driveway, and, still having a key, turned the ignition and rammed it as hard into the house as reverse gear would allow. Cindy had never intended to kill Janice though she would have been okay with some maiming. She gave her whole sad story to the judge, but somehow through her tears and sniffles and the judge’s unshakable belief in the justice system, her story lost believability. The facts before her were indisputable. Whatever led up to them was irrelevant to the judge. He did set modest penalties. She would have to pay for both the house and the truck. They’d garnish her wages until she paid it off. For whatever reason, though, he forced Virgil to pay his own attorney’s fees. In this surreal state, coming out of the courthouse Cindy heard, or thought she heard, a tinkling on the wind. She put it aside, walked to her car, and drove to her apartment. The next morning Janice called with an estimate of the repairs. Apparently she and Virgil were taking the opportunity to build a window seat and alcove where the truck had struck. “You know, a little bit of redemption,” Janice had said. It would cost a “little” more—on the order of 50% more than Cindy’s contractor’s estimate—but since the amount was within the judge’s limits on repairs, Janice “anticipated” Cindy would not have a problem paying for it. Plus Janice had gotten “a really good deal” from her brother. Cindy sighed. That had been her and Virgil’s project. They’d planned to put in a window seat once money wasn’t so tight. They had even started saving. Cindy hung up the phone and sighed again. The air tinkled once more, this time louder, like little bits of metal rubbing together. Cindy looked out the window at the wind chime on her neighbor’s balcony. She picked up her purse, reached in and pulled out Virgil’s check. “Well, it’s not much, but it’s something,” she said.